LongIsland.com - Your Name sent you Article details of "Fall Festivals, Halloween Horrors, News, Events, and More in October 5th's Newsletter!" Kick off October right with the best Haunts, Festivals, and more! Get the most out of Columbus Day Weekend with the LongIsland.com Newsletter! Starting October 5th, Bayville ScreamPark will be open every day through Halloween - providing Long Island with thrills and chills all month long. Bayville ScreamPark has tons of terrifying haunted attractions, all in one location. During the daylight hours on weekends from 11AM-6PM, and on Columbus Day, they have "Not So Scary" Spooks appropriate for the younger ghouls. The first weekend of October is here, and it's bound to be packed with thrills, chills, and all sorts of seasonal excitement. There are countless family friendly Fall Festivals, and many of the terrifying haunts that take over Long Island are open for the long weekend. With many schools & institutions closed this Monday for Columbus Day, the three day weekend presents us with an even bigger opportunity than usual to relax, and enjoy the season. This Saturday from 10AM-6PM, join Pindar Vineyards as they welcome the Fall with thier 26th Annual Harvest Festival! Admission is $20 ($10 for wine club members), and includes a glass of wine, as well as live music, and a day full of Fall-Themed Fun. Anyone under 21 is welcome to attend for free, so make sure to bring the kids out this weekend as you enjoy a day of relaxation at one of Long Isand's East End's favorite wineries. Make sure to bring your chairs and blankets, so that you can set up a picnic outside for you & your family. Don't miss the fun - come out and help Pindar celebrate the season this weekend! For more information, please visit their website, call 631-726-7555. 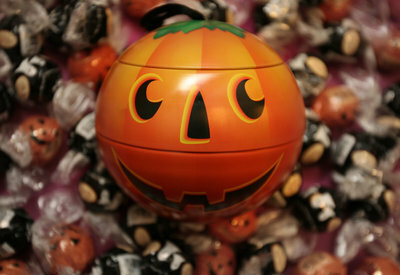 You Can't Celebrate Halloween Without Candy - Right? Candy has a sweet way of bringing you back to your childhood. Savor the memories and rediscover the old-fashioned candy of yesteryear. For a real blast to the past, check out vintage-style candies that will satisfy your sweet tooth. It can be fun to share a story with a child about your own memories. These shops have walls lined with old-fashioned candy jars, shelves stocked with the finest confections from around the world, and treats you probably haven’t seen in years. From nostalgic to new, minty to sour, tiny to giant-sized, liquid to chunky, lavender to silver, hard to chewy, gourmet to gummy boogers, you can find it all! The Annual Enrollment Period begins October 15 and lasts through December 7th. Have questions about Medicare? Thinking of switching plans? NOW is the time! Let Senior Healthcare Benefits Group help you. Talk to an agent about your individual plan options or any concerns you might have about Medicare. Shopping and determining your eligibility for Medicare insurance coverage can be quite confusing; especially if you are unsure of the plan details and Summary of Benefits, so call Senior Healthcare Benefits Group today, for a NO COST AND NO OBLIGATION CONSULTAION! For more information, please send them an email, or call 631-393-5019. This Saturday & Sunday from 10AM-6PM, come out to Catalina Seaside Park at Nautical Mile in Freeport for Country Fest LI! Two Days of Long Island's favorite Country Bands plus all things country including crafts, a Kid's Corral, line dancing, monster trucks, BBQ and Family Fun. See our website for the band lineup, photos from last year and directions.Activities for the kids include pony rides, face painting, extreme airbrush tatttoos, a petting zoo, games and more. Adults are $10, and kids 10 and under are free. This Saturday from 10AM to 4PM, head out to Park Avenue Memorial Elementary School for the annual Apple Festival! There will be food, fun, games, craft vendors, and of course all sorts of delicious apple-themed treats! This event is free, and is sure to be fun for the whole family. This Friday through Monday, the Annual Long Island Fall Festival will take place in Heckscher Park in Huntington. Features fun-filled festivities for the whole family with hundreds of attractions, global cuisine, a world-class carnival, over 300 vendors & 4 days of live performances. Admission is free, and there are tons of exciting events happening here all weekend long - check it out! This Saturday, from 9AM - 1PM, head over to the Gazebo on Audrey Avenue in Oyster Bay for their weekly farmer's market. There will be plenty of fresh, seasonal produce, so if you're looking to whip up a delicious autumn specialty this weekend, you'll want to check out this market first!